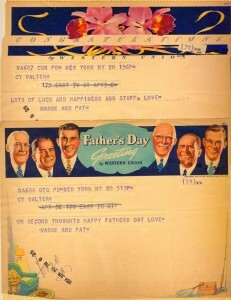 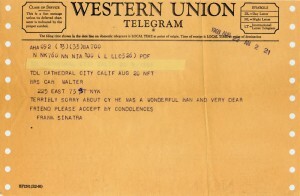 In the three‑and‑an‑half decades of the Twentieth Century which Cy’s career spanned, telegrams were an important mode of communication. 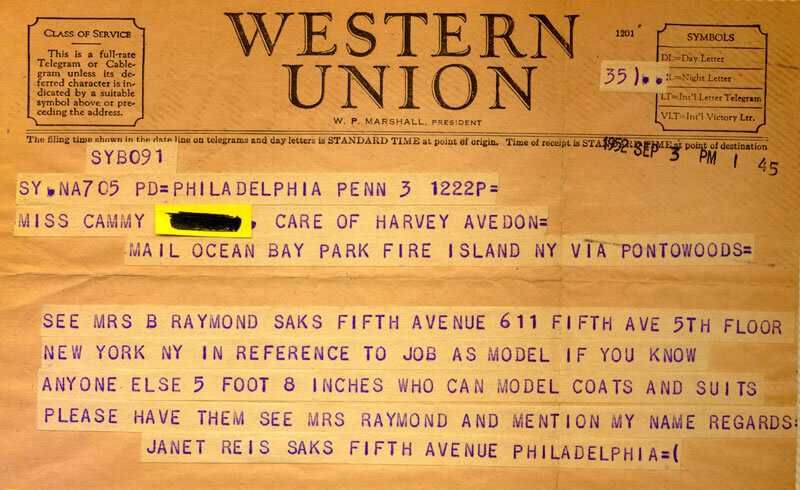 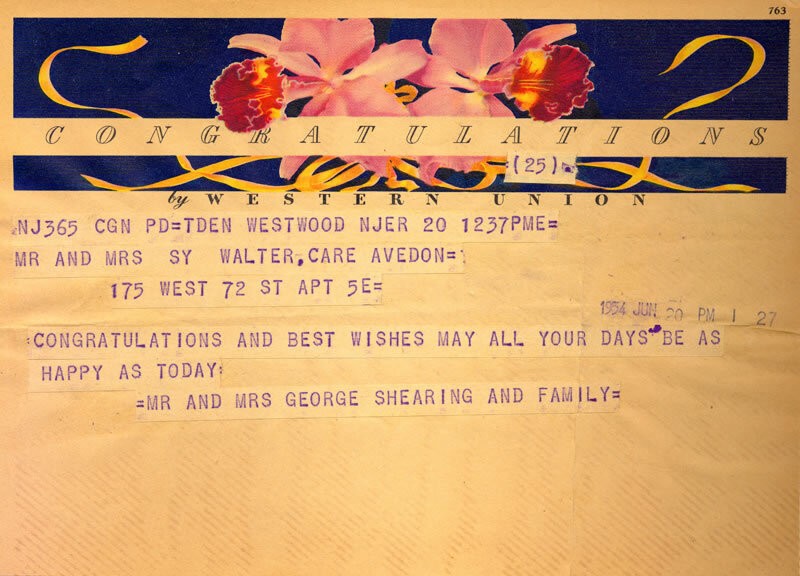 Unlike the often well‑crafted letters that postal correspondence fostered (the limits of which were defined by the sender’s energy and artistic ability), people carefully composed each symbol that a telegram contained. 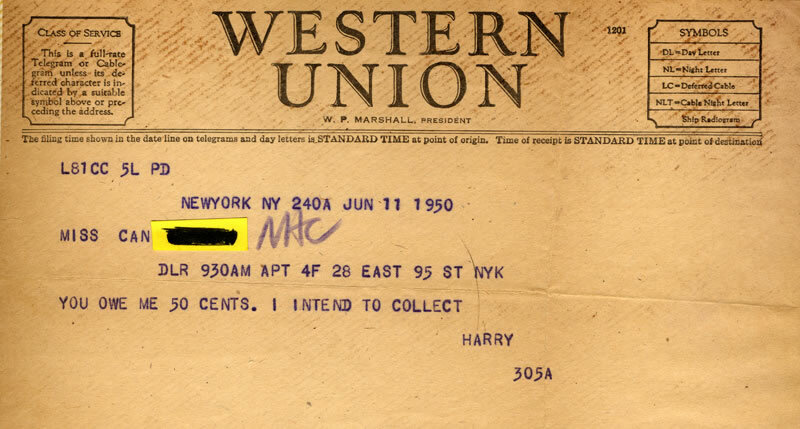 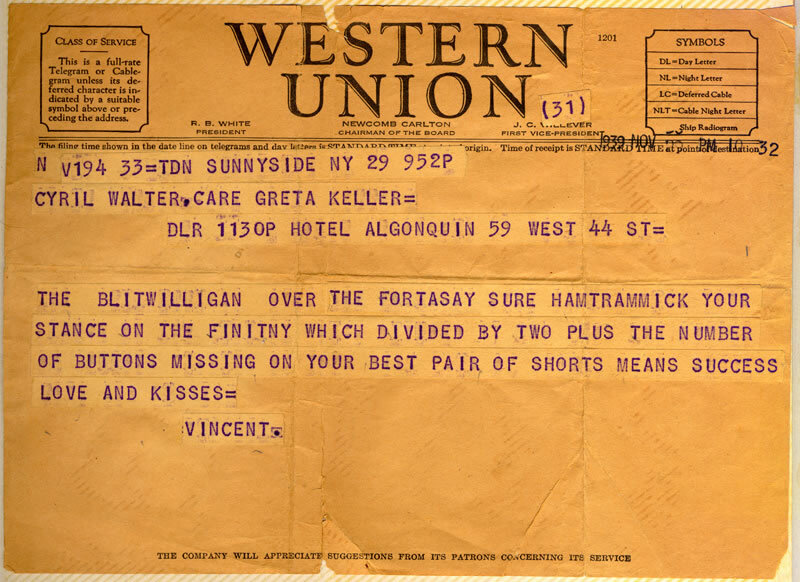 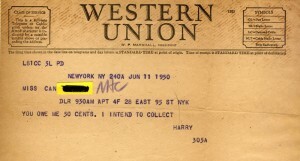 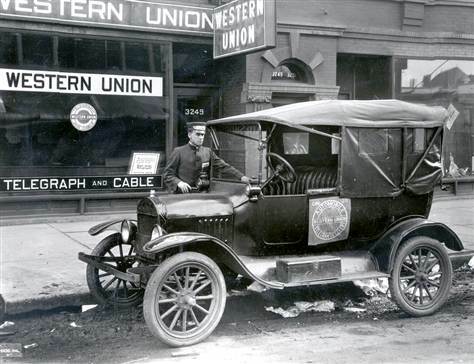 Generally speaking, they had to; Western Union charged by the character and by the mode of delivery service selected, and so telegrams cost significantly more than would the sending of a comparable letter by the U.S. mail. 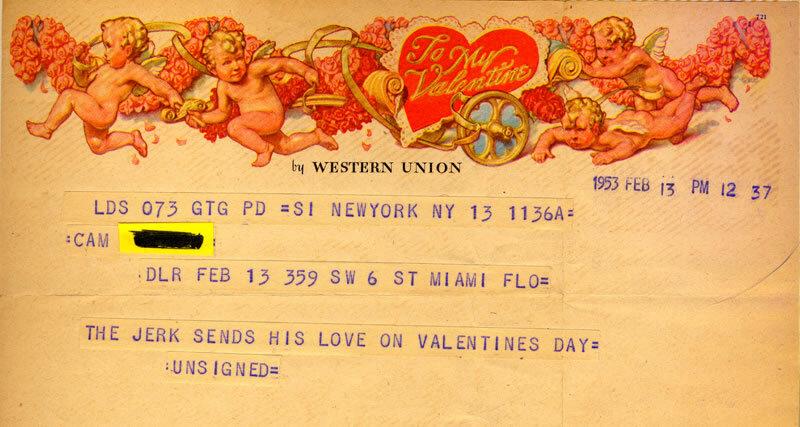 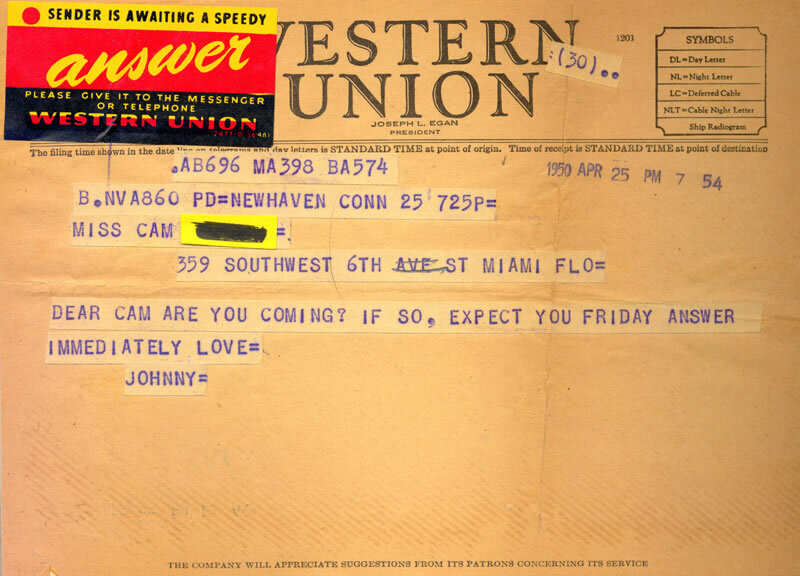 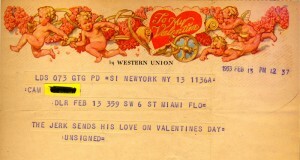 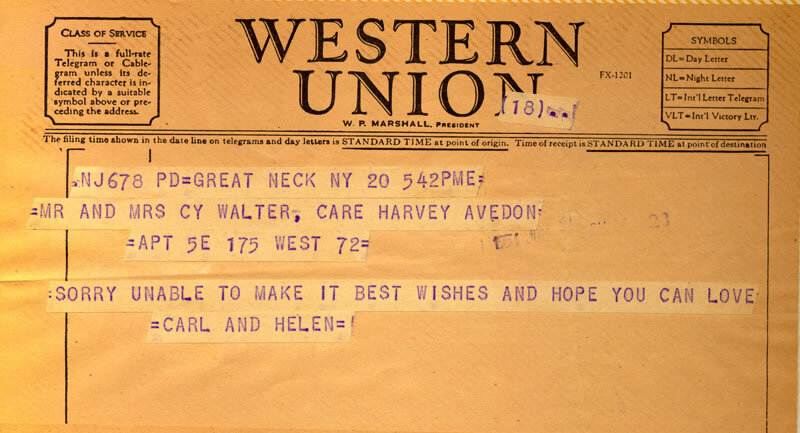 Telegrams were thus also used for special occasions, when their relative speed or novelty was deliberately employed by the sender to emphasize the particular communication’s importance. 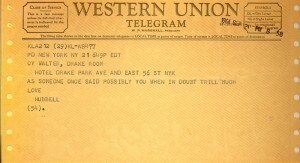 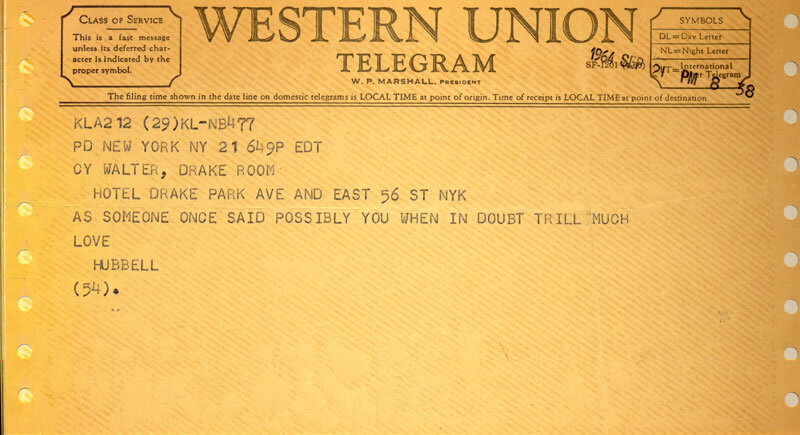 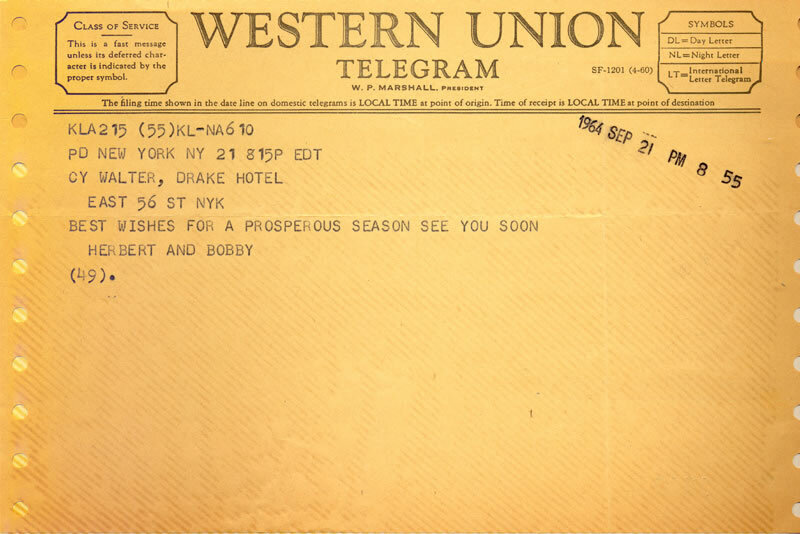 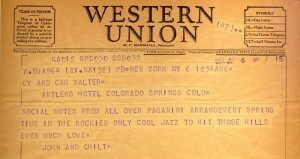 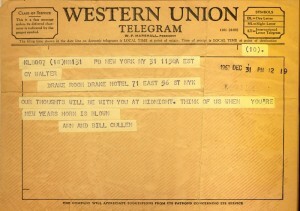 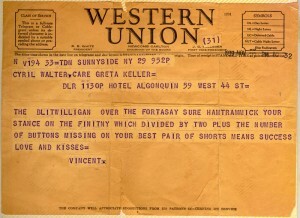 Beyond the medium’s obvious business relevance, certain occasions also called for the telegram’s usage. 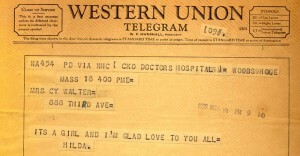 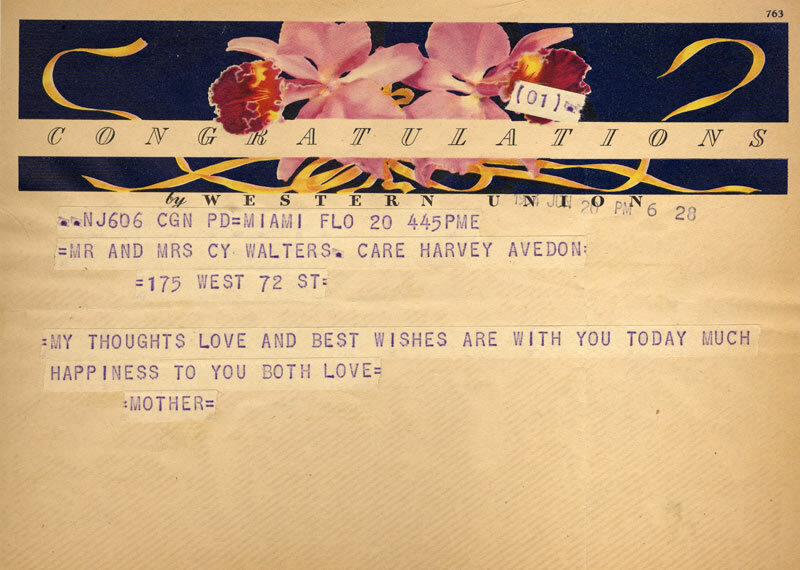 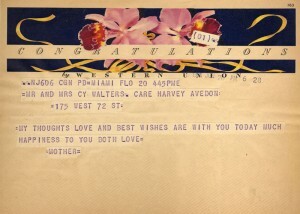 Social events, including births, weddings, and deaths, all warranted the higher importance of communicating congratulations or condolences by telegram. 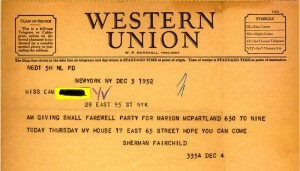 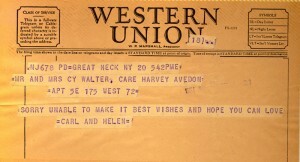 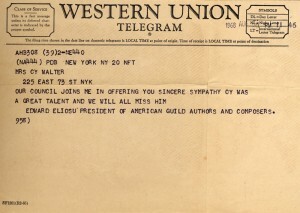 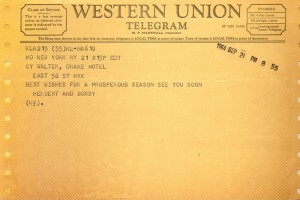 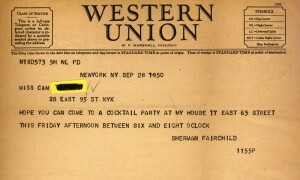 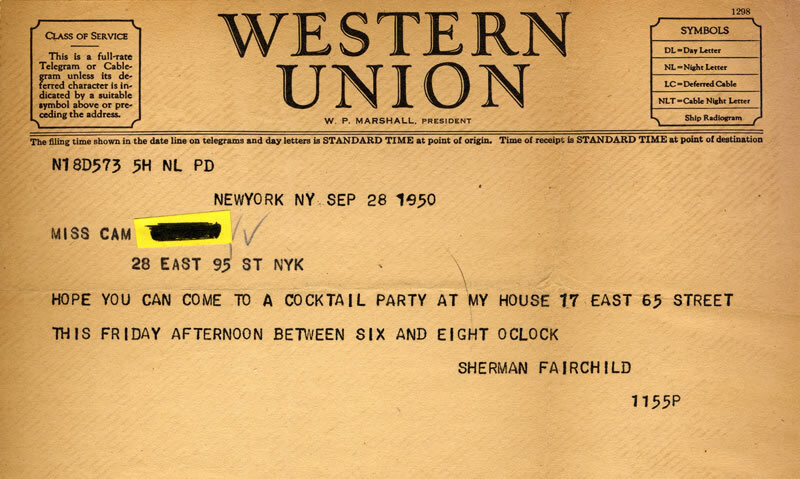 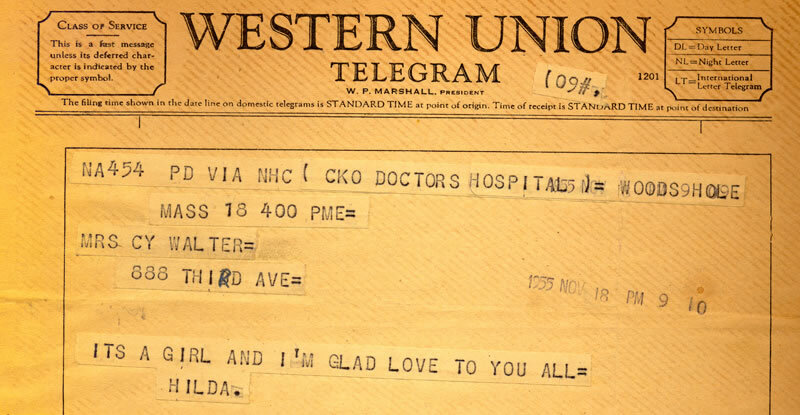 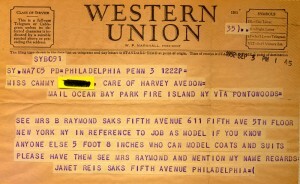 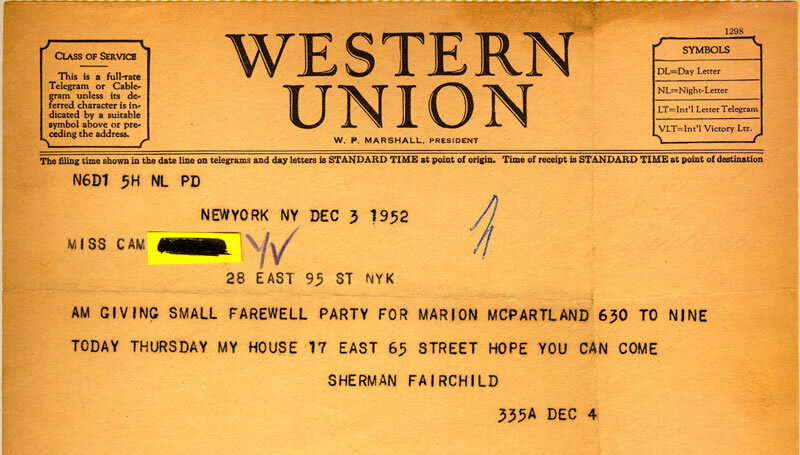 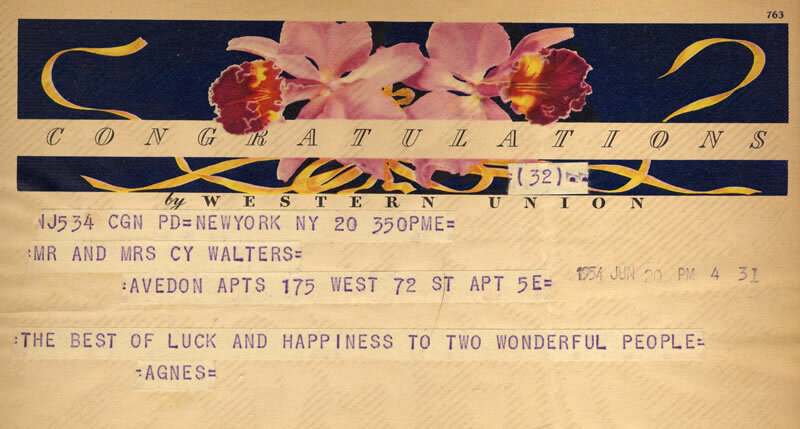 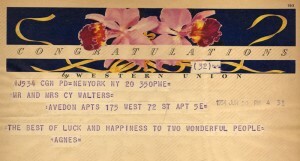 A performer’s opening night, or some major career event, would often mean the arrival of a multitude of well‑wishers’ telegrams. 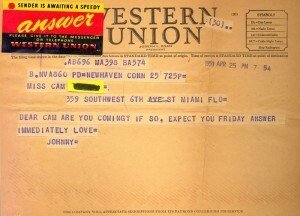 Some times, no more than a desire to send a special message between friends justified the extra effort and expenditure. 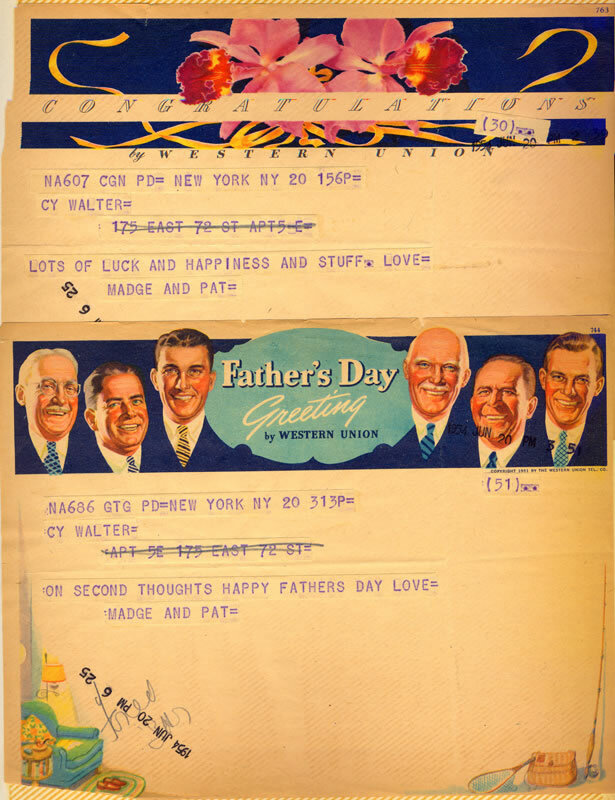 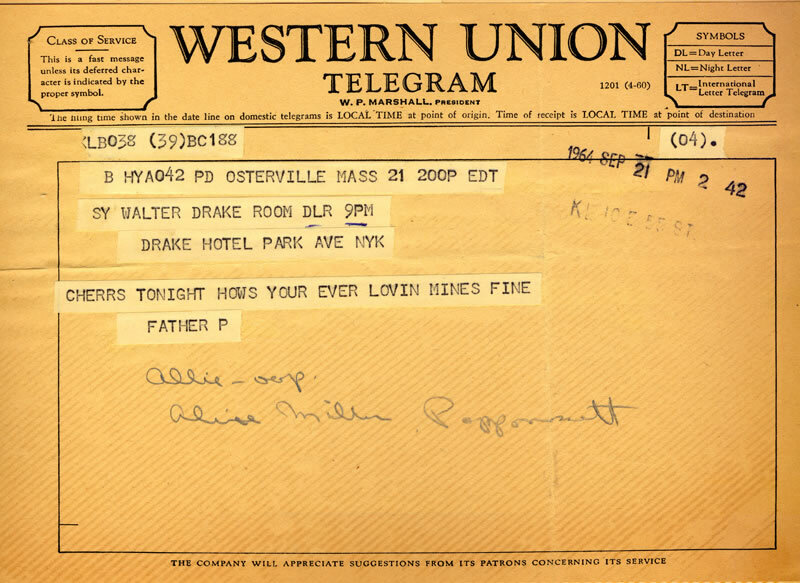 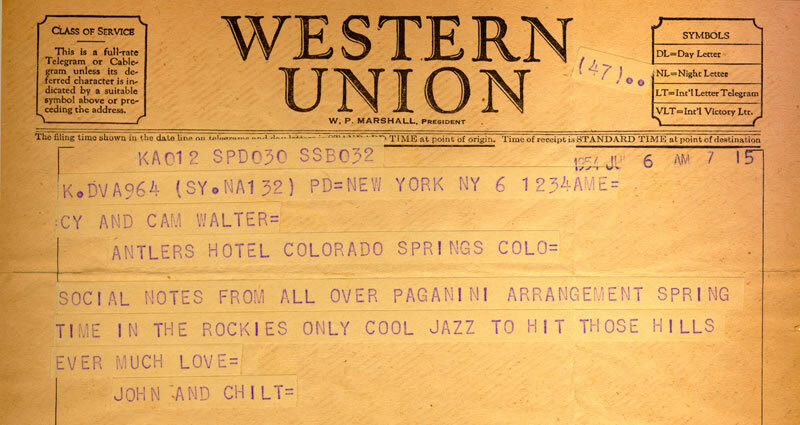 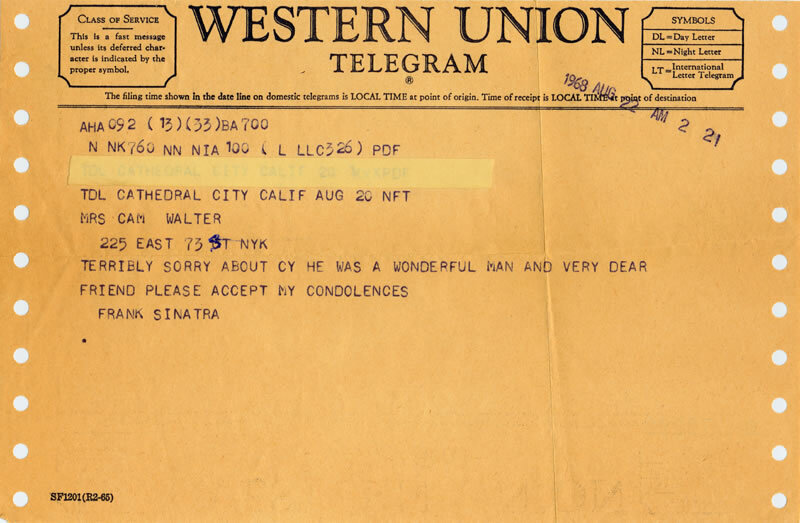 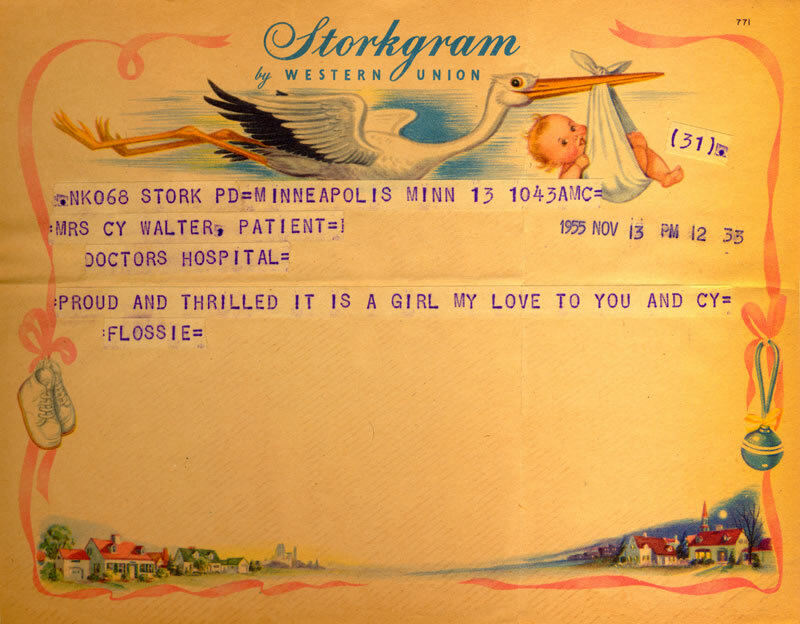 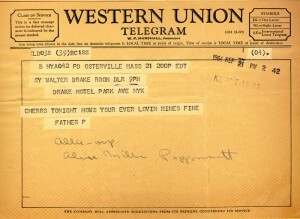 The sampling of the Cy Walter and Walter family telegrams which follows reflects all of these aspects of the telegram’s history. 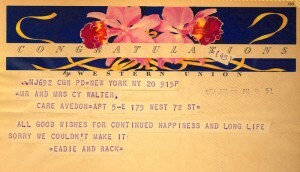 Moreover, as with Cy’s mailing list, these missives also reveal the breadth of the vibrant social and musical world of which Cy and Cam Walter were a part. 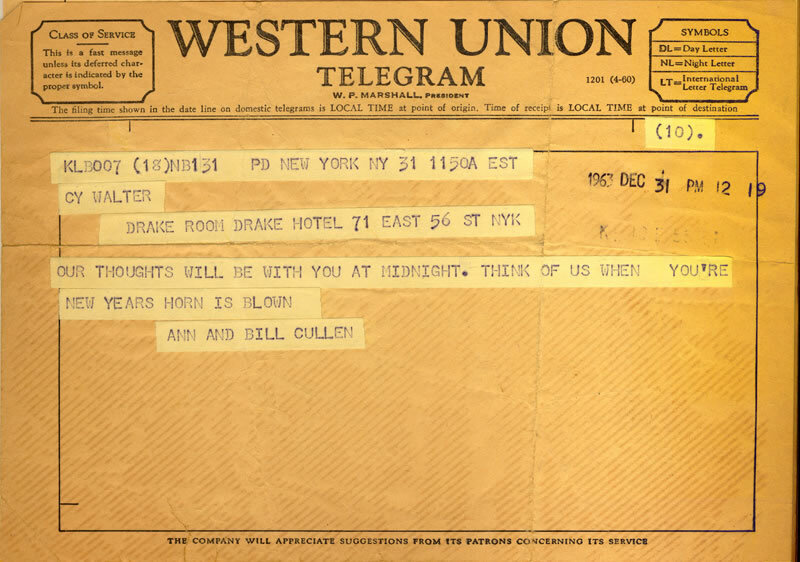 Doubtless many other telegrams were discarded over the years, but kudos go once again to Cam for retaining these pearls for us to now enjoy.